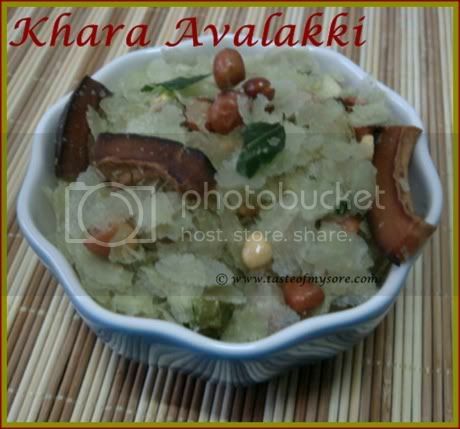 Pressed Rice/Avalakki is available in atleast 4 different thickness. The thinnest form of them is used to make snack. Crispy, crunchy, spicy arrmm urrmmm arrrmmm...it tastes arrrmmm..urrmmm....yummo with a cup of coffee. It is a filling snack by itself, however we (at home) always find ways to relish it differently. Add turmeric powder, mix and add peanuts. Let peanuts become crisp and red. Now, throw in coriander seeds give a good stirr and add greedn chillies. Let green chillies become crisp,add curry leaves and salt followed by paper avalakki. Switch off the stove and remove the pan from the stove and put it aside. Mix avalakki with rest of the ingredients well. Let it cool before you enjoy! This is a awesome snack to carry while you go on tours. It is filling and tasty too. This goes to my event Meals on Wheels. Mix, onions, coriander, coconut and lemon juice. Add avalakki and give a good stirr. Serve immediately. i have nominated u for "i luv ur blog" award. looks so good! Healthy snack, remember eating this at Blore.. will soon try it..
lovely and light snack anytime..
"Crispy, crunchy, spicy arrmm urrmmm arrrmmm...it tastes arrrmmm..urrmmm...."
ooh, you're tempting me too much Lakshmi! looks sooo good! Yum! Its been a while I had them, pics are very tempting Lakshmi. 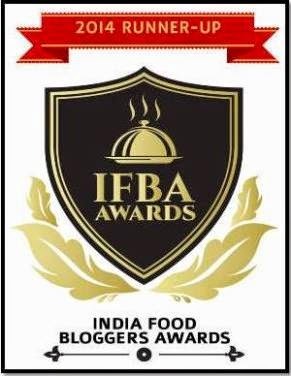 We usually make with thick poha deepfried version. Love to eat with onions and chilis...yum! Just the thing for an evening tiffin !Avalakki is such a versatile all -time food item. The thin flat variety is called " Nylon" in mysore market !In southern karnataka, they also make a avalakki-puliyore with broken poha. I tried my hands in preparing this, but burnt my hands. 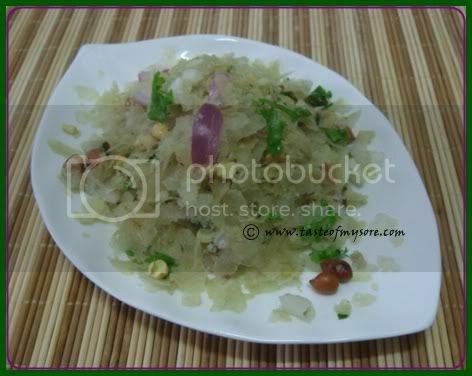 uppu khara sariyagi mix agode illa..
yes..i love this chivda with the onions and tomatoes..good one.. Looking to that last pic make me want to grab the plate and eat them. Neevu nanage bayalli neeru surisuthira..Filter cofee with chivda..Yum Yum yum yum..
New dish to me with poha..Looking yummy lakshmi.. I learnt this one from my husb, his favorite, only thing we rarely get the thin variety! Looks lovely! Makes a nice evening snack! Khara avalakki with onion, cilanro and coconut sounds so good, LG! kahara Avalaki changidhe lakshmi...thumba divsa aithu madi naanu..
Something for me to bookmark to prepare for evening snack for my family. when ever I make this that will finish with in min.that bowl tempting me a lot lakshmi. This is a very good snack and I make it often as an accompaniment to tea or coffee in the evening. This is not like the other deep fried stuff served with tea but healthy & no oil.It provides you with lots of natural B-Complex as poha is made from hand pounded unpolished rice.Also as it is rich in nutrients it keeps you feeling full for longer time than other snacks. My mom used to make this for my dad :) Such memories. this looks yum nd crispy,..
sure as a mysorean by birth all these do cherished,how about starting a chat group so that fast conversations can be done.